No Stairs Yet A Stunning Upper Level Unit Boasting Breathtaking Panoramic Ocean Views. This HGTV décor style single level unit has been impeccably updated and decorated. There is a pool, tennis court, 2 spas on grounds and free RV parking pending availability. Location is near famous F. McLintock's Steak House and a short jaunt to beaches, shopping and entertainment of quaint Shell Beach, downtown Pismo Beach and all its activities, Pismo Pier, and world-class wineries. 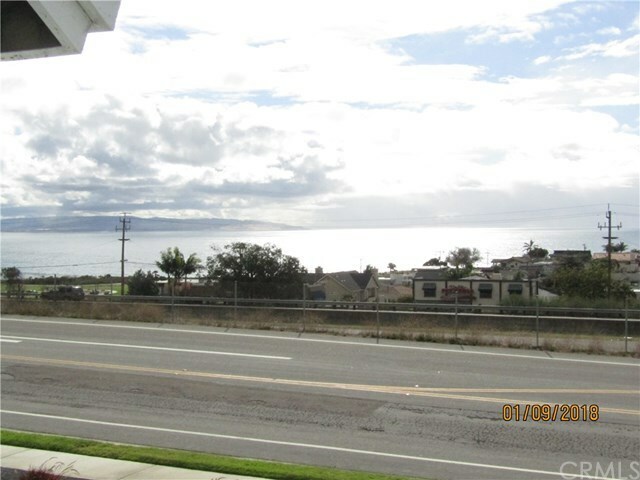 This the best value in Pismo/Shell and priced to sell quickly at $459,950. Directions: Mattie Road to Baycliff Village Condos. Enter and turn left at the first street.